The most historically intriguing settlement on the Bosphorus, Rumelihisarı's splendid 15th-century Ottoman fortress guards the narrowest point of the straits, together with the older Anadoluhisarı across the water. 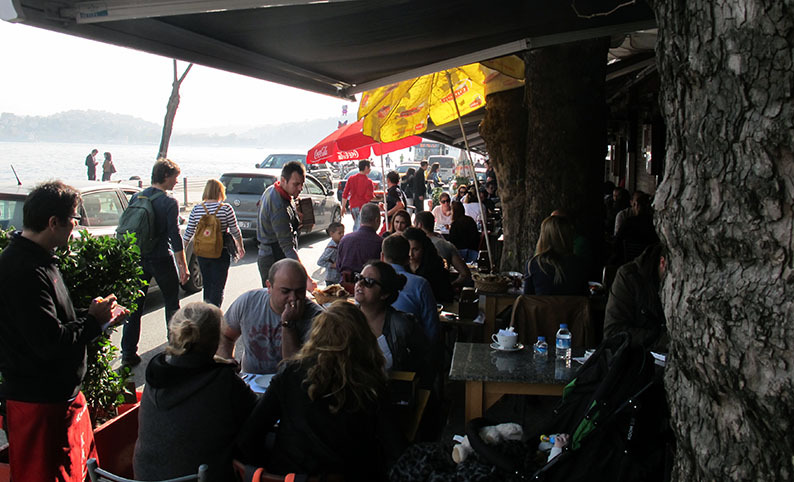 Loads of cafés line the narrow coast road, with leafy tables looking out across the water. 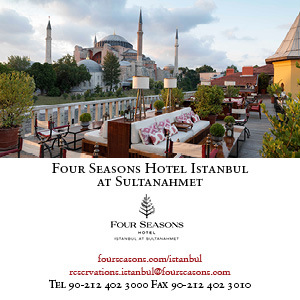 At weekends you can combine breakfast with a visit to Borusan Contemporary, or patrol the ramparts of Mehmed the Conquerors elegant power statement. For a delightful almost rural walk, climb the hill behind the cafés and follow the road round behind the fortress and back down through the fortress cemetery below Bosphorus University. Halfway down the hill, a narrow lane leads up to Aşıyan, Istanbul's best literary museum – the house was designed and built by the poet Tevfik Fikret, and the view is to die for. No café, but you can still sit out on the garden terrace. Take a sandwich and a book.